Well its that time of the year again, the Blogger's Quilt Festival! This is my quilt. 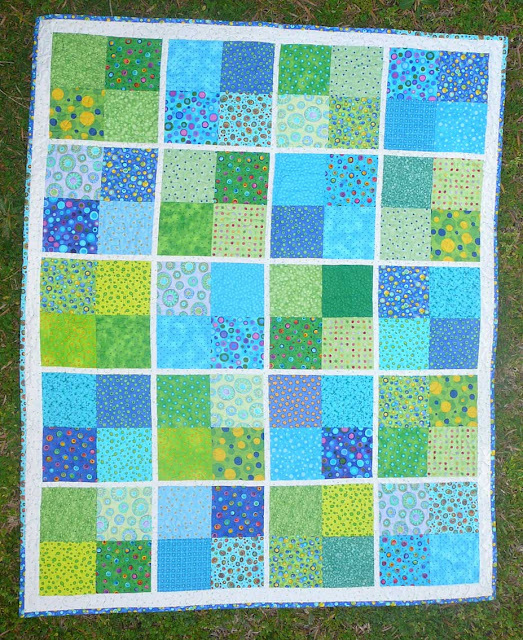 It is not the most fancy quilt in the festival, it is very simple, a 4 patch block made from scraps from the stash. It was a real quick whip up quilt made in one weekend back in mid 2008 to practice accurate cutting and sewing and also as a stand by in case I needed a baby boy quilt. I think I may have jinxed myself as after sewing it, the next three babies I made quilts for were all girls and all pink. 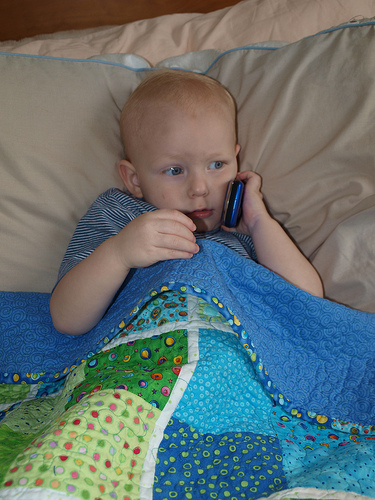 It sat folded up waiting to be quilted until July 2009 and a special boy was born and I needed a blue quilt fast! This quilt is also special as its the first quilt that I quilted on my Mum's Happy Jack frame. It was awesome! My little dodgy Brother machine did a great job stippling away. But here is the real reason this quilt is special. 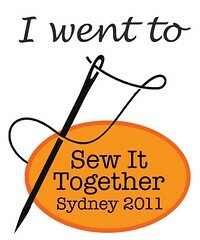 It is proof of how blogging and quilting can make a friendship even though you haven't meet the person! I meet AJ online, back when? I can't remember when! We both quilt, we'd chat online, swap fabric, participate in the same swaps. We meet a few years ago when we visited her home city. We went fabric shopping together! 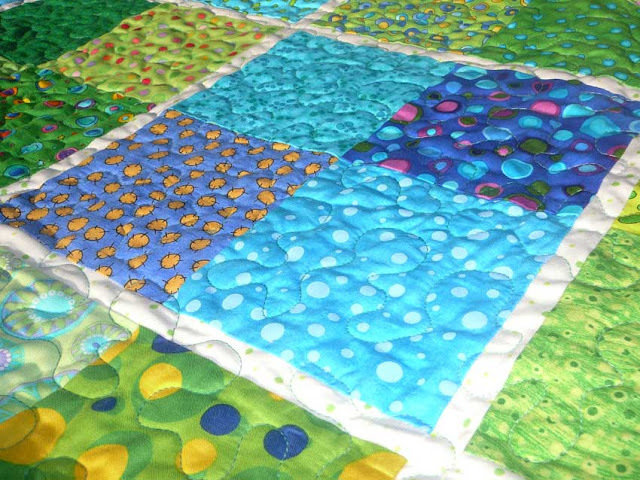 A friendship grew and when her son was born, this quilt was his. It is loved and he takes it everywhere. AJ did a beautiful post of how her son loves his quilt here. From two months old to three years. Sleeping under it and playing on it, a loved quilt, rather than a folded up in the cupboard quilt. Awesome! Thanks to Amy for hosting the festival once again. Check out the other quilts here. What a great quilt! Lovely fabrics..so bright colors! That's a fantastic, colourful quilt and how awesome that it is so loved! Great job for your first time using the frame, too. LOVE LOVE LOVE it Thanks so much Helen! Wow, gorgeous! And love that frame, I've just quilted a king size on my home machine, and all the excess quilt bunch up drove me crazy! Thanks for the rolling idea! 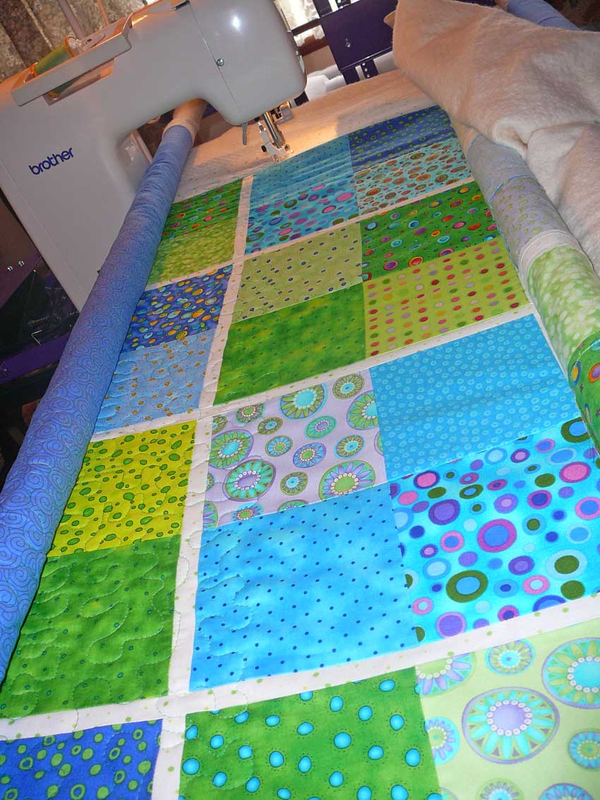 It doesn't have to be a complicated quilt when the fabrics are lovely. It looks great. Lovely to see it being enjoyed. 2Touching story. Cuddle quilts are what I make the most of and I'm always looking for new inspiration for a new twist. Perfect quilt for a boy! Great colors. Great quilt and just right for a happy little boy. Take care.